Apparel, accessories and jewelry produced in partnership with female artisans under the guiding principle that "there is no beauty in the finest cloth if it makes hunger and unhappiness"
Jewelry, accessories, apparel, homewares, children's wear & nursery decor handcrafted by women in Ghana and Rwanda, with all profits reinvested into education schemes. 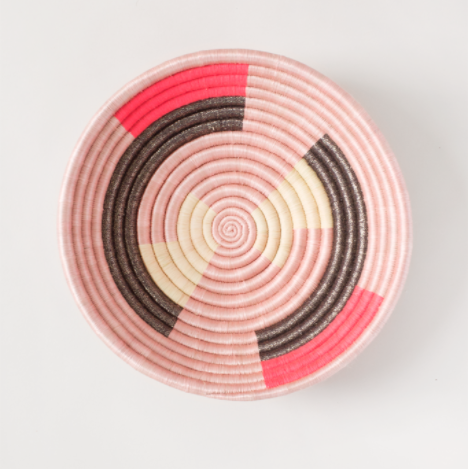 Apparel, accessories and homewares, made by Mayamiko's team of in-house trained tailors, pattern cutters and seamstresses and inspired by African artisanal traditions and prints. Apparel, accessories, jewelry, home decor and textiles created in partnership with artisans in developing countries to bring to the global market traditionally made goods with a modern aesthetic, deeply rooted in craftsmanship and culture.